Swollen feet is a common problem that anyone can suffer from. It is not a disease in itself, but rather a symptom of an underlying issue. Usually, this problem arises when fluid accumulates in the tissues, leading to swelling known as edema. This can occur for several reasons, such as being overweight, standing or sitting for long periods of time, aging, pregnancy, premenstrual syndrome (PMS), nutritional deficiencies, lack of physical exercise and poor blood circulation. An injury or surgery involving the leg, ankle or a foot can also cause swelling in your feet. People who have diabetes, heart problems, kidney or liver disease, and pregnant women are more prone to this problem. As the swelling increases, it can cause general discomfort and people may find it difficult to walk or stand. Other symptoms may include pain, inflammation and redness in the feet. Luckily, there are plenty of effective tips and remedies to treat swollen feet at home, so you can get back out and enjoy the world. However, if the swelling is painful or occurs often, consult your doctor. It can be a sign of heart, kidney or liver problems that may need timely treatment. Here are the top 10 home remedies for swollen feet. This type of hydrotherapy, which includes both cold and warm water, is highly effective for reducing swelling in your feet. While the warm water helps improve circulation, cold water helps reduce swelling and inflammation. Fill 2 foot tubs– one with cold water and the other with warm water. Soak your feet in the warm water for about 3 to 4 minutes. Immediately put your feet in the cold water for about 1 minute. Continue alternating for 15 to 20 minutes. Repeat a few times daily until you get relief. A foot massage is one of the best remedies for swollen feet. It creates pressure on the affected area that helps relax sore muscles and improve circulation. It also encourages excess fluid drainage to reduce swelling. Rub some warm mustard oil or olive oil on the affected area. Gently massage the area for 5 minutes in an upward direction, rather than downward. Avoid applying too much pressure. It is most effective to massage your feet during or after taking a bath. Note: If the swelling in your feet is due to pregnancy, see a therapist who specializes in prenatal massage. Epsom salt works fast to reduce swelling and can help alleviate pain and discomfort, too. The magnesium sulfate in Epsom salt is easily absorbed through the skin and helps improve circulation and reduce swelling. It is also relaxing for sore, tired muscles and even helps neutralize foot odor. Mix ½ cup of Epsom salt in a foot tub filled with warm water. Soak your swollen feet in it for 10 to 15 minutes. Ginger is a natural diuretic that helps treat swollen feet. It helps dilute sodium, a major contributing factor behind swelling. 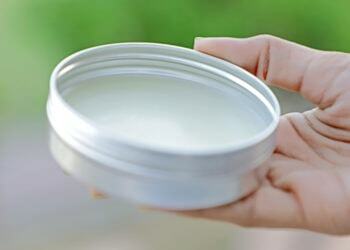 In addition, its anti-inflammatory property helps reduce swelling. Massage your swollen feet with ginger oil when massaging a few times daily. You can also drink 2 to 3 cups of ginger tea or chew some raw ginger slices. The diuretic property of dandelion helps the body metabolize extra fluids, making it a great remedy for swollen feet. According to a 2009 study published in the Journal of Alternative and Complementary Medicine, dandelion has a diuretic effect that helps treat water retention. 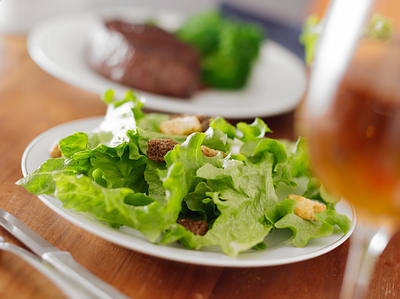 It also helps regulate the sodium level in the body. Mix 1 teaspoon of fresh or dried dandelion leaves in a cup of hot water. Cover, steep for 5 minutes and strain it. Drink this herbal tea 2 or 3 times a day. You can also take dandelion tincture or supplements, but only after consulting a doctor. Drinking lemon water helps flush out excess fluid and toxins from your body, which can reduce swelling in the feet and other areas of the body caused by water retention. In addition, it helps keep the body hydrated and provides anti-inflammatory benefits. Mix 2 tablespoons of lemon juice in a cup of warm water. Sweeten it with a little raw honey. Drink this lemon water a few times daily. 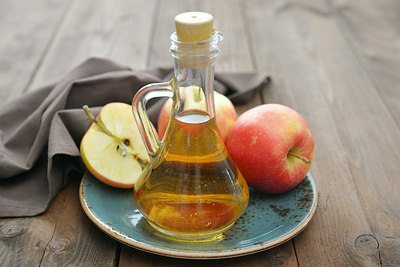 Apple cider vinegar also helps reduce swelling in your feet. Its high potassium content helps reduce fluid retention, a common cause of swelling in the feet. Mix equal amounts of warm water and raw, unfiltered apple cider vinegar. Soak a towel in the solution, wring out the excess liquid and then wrap the towel around your swollen feet. Do this for 10 minutes, a few times daily. Also, add 2 tablespoons of raw, unfiltered apple cider vinegar to a glass of water. Add some raw honey and drink it twice daily. 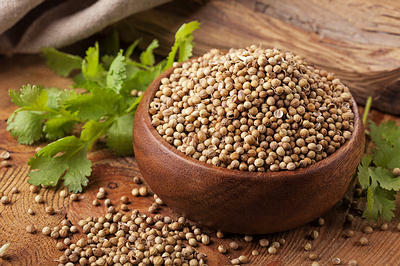 A popular Ayurvedic treatment for swollen feet is coriander seeds. The anti-inflammatory property of these seeds helps reduce swelling as well as improve circulation. Add 2 to 3 teaspoons of coriander seeds to 1 cup of water. Boil it until the quantity reduces by half. Strain the solution, let it cool slightly and drink it. Repeat 2 times a day until you get relief. 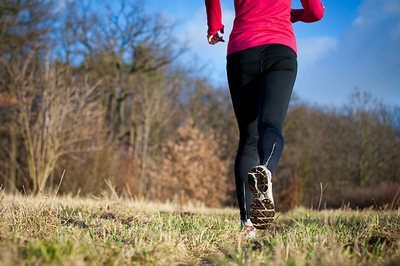 Regular physical exercise is important for preventing swelling in your feet. Exercise stimulates circulation and prevents blood from pooling in your lower extremities. Swimming is one of the best exercises you can do to lessen swelling and relieve inflammation and pain. Enjoy 30 minutes of walking or jogging, at least 5 days a week. Do some leg strengthening and stretching exercises. Do some yoga daily to help improve your circulation. Magnesium deficiency in the body can also contribute to swelling in the feet due to edema. Eat foods rich in magnesium to help fight this problem. Eat magnesium-rich foods like dark leafy greens, nuts, seeds, fish, soybeans, avocado, bananas and dark chocolate. You can also take magnesium supplements, but only after consulting your doctor. Note: People with heart or kidney disease should avoid taking magnesium supplements. To reduce swelling, elevate your legs so that they are above the level of heart. Limit your salt and caffeine intake, as they are common causes of foot swelling. Eat fresh fruits and vegetables instead of canned versions, which often contain added salt for preservation. Drink plenty of water to keep your body hydrated and promote detoxification. Avoid sitting for long hours. Take short breaks and walk around a bit. During long journeys in a car, plane, bus or train, consider wearing compression socks to prevent foot inflammation. I used to have swollen feet in the past and having a foot massage really helps. Good thing my wife knows how to do the massage for me since she has basic training on massaging. Great post by the way! this is very useful information both in post on the replies. am impressed i had not known all these. God bless you all and let us keep the spirit of helping each other. My ankles and feet are swollen. First time too having them,this way. Thanks for the info. Hi,this is very useful information Thanks for the info. Comment: Black pepper and Turmeric are also good for edema. Had swollen leg for years but one day of drinking the two spices saved me a lot of trouble. How much of each spice in how much water worked for you? Comment:My wife is diabetic and she suffers from swollen feet. which one of these ten home treatment can really help?Thank you.